$499 DOWN Guaranteed Approval!!! The Nissan Altima 2.5 SV is economically and environmentally smart. Nissan clearly delivers on its promise to provide a fuel-efficient vehicle that has the great qualities you need in a vehicle. 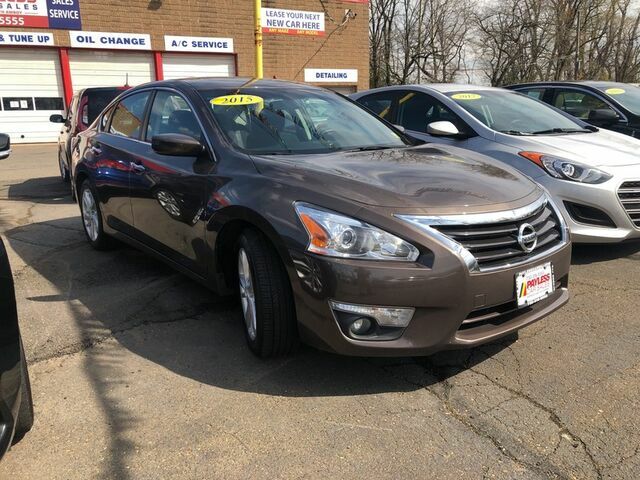 Looking for a Nissan Altima that is in great condition inside and out? Take a look at this beauty. Based on the superb condition of this vehicle, along with the options and color, this Nissan Altima 2.5 SV is sure to sell fast. More information about the 2015 Nissan Altima: The 2015 Nissan Altima offers plenty of choices for buyers looking for a smart, affordable midsize sedan. With a focus on building premium attributes into every facet of the new Altima -- inside, outside and under the hood -- buyers will find a car that punches above its weight in this hotly contested segment. This model sets itself apart with Handsome, flowing lines, two great engine choices, standard continuously variable transmission, available amenities to suit every taste, and excellent fuel economy from 2.5L Call now (732) 316-5555 This one won't last! Whether you have good credit, bad credit, no credit or even in a bankruptcy or repossession we can help. Our goal is 100% guaranteed approval!! Call us at 732-316-5555 or come on in to our South Amboy, New Jersey showroom and one of our credit specialists will help you get the vehicle you deserve at a payment you can afford. The advertised price does not include sales tax, title, DMV fees, finance charges, prep fee and documentation charge of $389. All financing subject to lender approval, rates and terms may vary. Any payments listed are an example and not an offer or guarantee or terms and are subject to lender assessment of credit,down payment and term. Prices subject to change at any time. While every reasonable effort is made to ensure the accuracy of this information, we are not responsible for any errors or omissions contained on these pages. Please verify any information in question with your sales representative.